Englands finest! The name everyone knows and trusts in horse and leather care. The distinct blue and white livery of the Hydrophane products easily identifies this product leader in the world market. 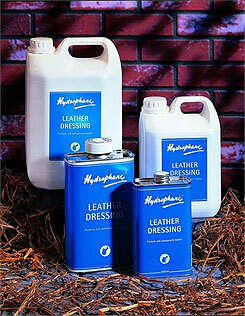 Hydrophane Leather Dressing provides waterproofing action, protects new leather, renovates old leather and provides a barrier from mud and sweat.